I am honored to be featured in an article regarding the courses I teach through The Compelling Image for Model Portfolio Photography and Photographing Children and Teens. The Compelling Image teaches a wide range of photography and I am proud to be a part of this amazing online school taught by the some of the top photographers in their respective fields. If you are looking for online courses to expand your skills or develop your artistic eye, check them out at http://www.thecompellingimage.com and follow their blog for industry news and insights, along with discussions and features. This entry was posted in Uncategorized on November 2, 2015 by allanawesleywhite. Mini moon [/ˈminē –ˈmo͞on]: a short honeymoon or weekend love fest. From Instagram to travel blogs, I felt inundated with stunning photos of Tulum, Mexico. Like a siren’s song, I too needed to experience the beauty and laid back vibe Tulum seemed to exude online. In preparation of my first wedding anniversary, I suggested it to my husband, Michael. After a bit of preparation, plans were solidified. We flew into Cancun, immediately said adios and began our drive due south down the Yucatan peninsula toward Tulum. We stayed at the lovely hotel, Casa Violetta. Our quaint open-air room, called Iris, was filled with Mexican fabrics and organic elements. Located right on the ocean, mornings were greeted with the sound of crashing waves serenading the arrival of my favorite new breakfast, chilequiles. We used our room key to order food and drink at the restaurant and bar, and also had designated Iris beach chairs so no matter what time of day we headed to the beach we always had a prime spot on the sand. Tip: Even if you don’t stay at Casa Violetta, you MUST try the food. Traveling to a beach town I knew make-up would be the last of my worries. Tinted moisturizer and a smattering of cream blush would be all that I needed, but sunscreen and after beach care was a major priority. Island Girl Co. makes the most amazing body butters and scrubs which are essential after a day on the sand. The coffee scrub is delicate on sun kissed skin and the body butter provides incredible moisture and glow to your skin without being greasy. Both foodies, I signed us up for an authentic Mexican cooking class at Rivera’s Kitchen. Lily opens her home, shares family recipes and educates you on local ingredients and flavors. A must! Overlooking the ocean, this ancient Mayan seaport dates back to 1200 – 1521 A.D. Make sure to get to the ruins early to beat the crowd or view the ruins by sea. If you want to get up close and personal with nature, Cenotes has large underwater sinkholes filed with fresh water. It’s a great place for snorkeling and scuba diving. A great couples activity that goes perfectly with the sultry climate is learning to tango on the beach at La Zebra. Classes are offered every Friday. Or just lounge – I’m talking about a margarita in hand, enjoying the sun and sand ALL day. Bliss. This entry was posted in Uncategorized and tagged Casa Violetta, destination travel, Island Girl Company, La Zebra Tulum, LydiaLane, Mayan Riviera, Mexico travel, Mini-moon, Rivera's Kitchen Tulum, romantic get-away, romantic travel, Tulum, vacation, Weekend Get-away on June 2, 2015 by allanawesleywhite. Here’s a look at my new juniors summer fashion and beauty editorial with Tèa Elbaz. Strong eyebrows, turquoise eyeliner in a cat-eye swoop, fuchsia matte lips, stripes, pops of color and vivid florals all make for easy summer style. Accessorize with bold pieces such as a cute lips purse and a lady-like statement necklace, mixed with florals and stripes, for a style update. Frame your face with bold eyebrows and pull hair back or up to show them off. Stripes are loud and proud this year so go big. Crochet crop tops and lace shorts are breezy and cool for summer. Mix patterns and colors, prints and florals, like with this sporty rash guard and skinny jeans. Let hair be natural with ponytails and skinny braids, and have fun with colorful makeup with like Tèa’s turquoise eye liner and matte deep pink lips. Metallic belts amp up the style of simple t-shirt dresses. Jean shorts and chambray shirts are summer essentials: dress them up with graphic short-sleeve pullovers, floral sneakers and a chic chain strap bag. Just because it’s summer doesn’t mean style takes a vacation! This entry was posted in Fashion Passion, Uncategorized and tagged bold eyebrows, bold lip color, bright makeup colors, florals, matte lips, mixing patterns, simple summer hair, stripes, summer accessories, summer beauty, summer fashion, summer fashion editorial, summer style, Téa Elbaz, teen fashion editorial, teen models, teen style on June 18, 2014 by allanawesleywhite. Let’s fly away… Summer is finally here! Holiday weekend at the beach! Everyone from fashionistas and architecture buffs, to foodies all agree that Barcelona is a top destination for amazing shopping, and food to make you swoon, all laid out as if on a movie set with Antonio Gaudi as the set designer. Style is everywhere in this coastal Catalan city from the grand boulevards to the tapas bars, permeating every aspect of life. The best shopping in Barcelona is concentrated along the Passeig de Gràcia, with its designer boutiques from Gucci to Prada, and high-street outposts of internationally renowned Spanish brands Zara, Mango, Adolfo Dominguez and Desigual. The Ravel district offers up indie boutiques with local designers and inviting vintage and antique shops. In the El Born district head to the shop of designer Beatriz Furest for her gorgeous bags, belts and scarves. Worth seeking out is Les Topettes for its amazing collection of soaps and perfumes. They make perfect souvenirs to remind you of your trip. 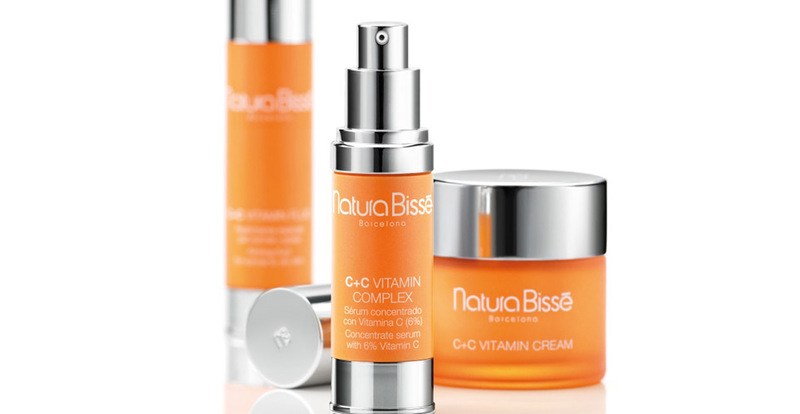 Stock up on cult-favorite Spanish skincare brand Natura Bissé, especially their C+C Vitamin Complex for the face. Another great souvenir and gift – if you can restrain yourself until you get home, is artisanal chocolate. 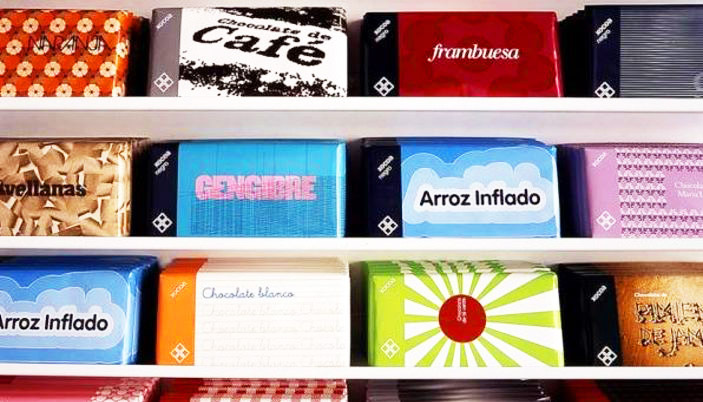 World-famous chocolatiers Xocoa offers their unique flavor combinations such as green tea, ginger, and Jamaican Pepper, in presentation-ready wrapping. Almost to cute to eat! For the best churros, or “xurros” in Barcelona, head to Comaxurros at Muntaner 562 for crispy pastries made for dipping in hot melted chocolate. Eating only one is impossible, and you might as well have a few as you will most definitely walk them off. One of the busiest tapas bars, and for good reason, is Xampanyet, on the Carrer de Montcada 22, in the El Born District where you can experience the local social life and an irresistible array of tapas all at the same time. A short scenic train ride along the coast is the ancient city of “Tarraco”, now called Tarragona. 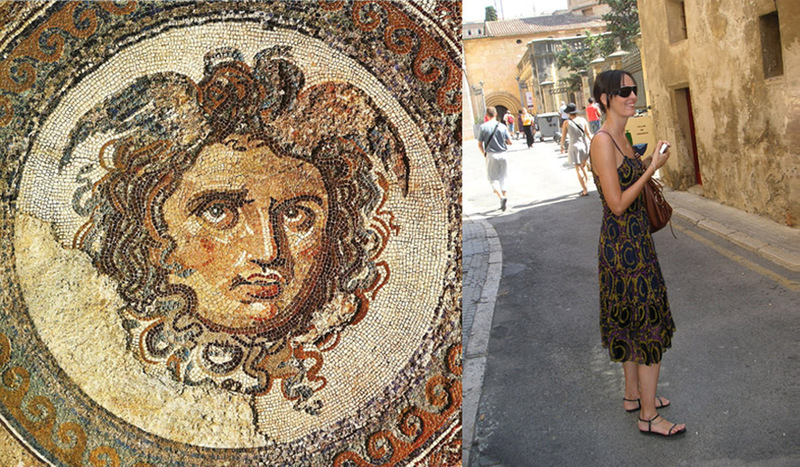 This ancient Catalonian city with its well-preserved Roman ruins and sandy beaches has been declared a Unesco Heritage site. If you happen to travel there the third week of September, catch the Santa Tecla Festival, legendary for their “human towers”, music, food and street fair celebrations. Be ready for a party! Don’t leave Barcelona without visiting the port and the beach. Take the cable car up to Montjuic and walk through the gardens and museums. The cable car ride itself is a spectacular way to see the views of Barcelona and the coast. Back down to the city center, head to Placa Reial next to Las Ramblas for restaurants and clubs. Immerse yourself in the world of Antonio Gaudi and tour the houses he built in the early twentieth century, La Padrera and Casa Batillo. Parc Güell in El Carmel in Gràcia is Gaudi’s other-worldly respite from the city with it’s tall cathedral ceilings and mosaic medallions, and winding pathways made of rock. Take time to marvel at Gaudi’s unfinished basilica La Sagrada Familia which is covered inside and out with dramatic religious symbolism. It is the centerpiece of Barcelona, and what Gaudi considered his masterpiece. Barcelona has so much to see and do, endless photo ops, and style to spare. Come prepared with extra luggage for all the shopping finds and souvenirs, cool walking shoes, and an appetite for great food and culture. I can’t wait to go back! This entry was posted in Fashion Passion, Uncategorized and tagged Adolfo Dominguez, Antonio Gaudi, Barcelona, Desigual, European getaways, fashion travel, Fashion Trip, Las Ramblas, Mango, Natura Bisse, Passeig de Gracia, Spain, Spanish Fashion, tapas, Tarragona, weekend trips, Zara on April 16, 2014 by allanawesleywhite. The Dutch are dynamic and welcoming, and none more so than in Amsterdam. Lifestyle and beauty journalist Danielle de Mol Moncourt gives us insider’s tips on where to shop, what to wear, what to eat, and where to party. Fashion in Amsterdam is hip but easygoing. To get inspired for what to wear in the 020 (the area code used by locals as a nickname for their city) check out the top Dutch fashion and beauty style blogs of Linda Tol, lindatol.com and Sabrina Meijer’s AfterDRK. Linda is instantly recognizable at all the fashion collections in Europe, for her bold but chic style and platinum cropped haircut. Sabrina embodies a laid-back comfortable cool with a nod to the ease of menswear. Not only for Dutch followers, their blogs have an international flair and style that translates from Europe to Asia and all points along the way. Local shopping is exciting and fresh. “De Negen Straatjes”, which means “The Nine Streets” is located in the center and is famous for its boutiques featuring local designers. The shop owners realized they had a huge following, so they created a website, The Nine Streets where you can get an idea of what treasures you can find in the boutiques. If you are looking for more high-end fashion then make a trip to P.C. on Hooftstraat where you will find Dior along with practically every other famous designer. Feast your eyes, but pity your wallet. Absolutely not to be missed, is the Rijksmuseum, where the famous “Nightwatch” by Rembrandt is to be seen, along with other Dutch Masters. Catch this season’s exhibits in FOAM, a museum dedicated to photography. Upcoming exhibitions include “The Space Between Us” exploring perceptions of the human body and sense of self. This might change your own “selfies” forever. Souvenir shopping is a real experience in the Haarlemmerstraat. It is one of the streets that is often used in movies for creating an image of the city, and is the perfect place to soak up some authentic Amsterdam spirit. When you get tired of all the walking, sight-seeing, and bridges on the canals, head for a quiet zen-break at Babassu Skin Spa for the best massages and facials in town, or just to freshen your makeup. Getting hungry? Dinner at Ron Gastrobar is affordable but trendy and the happening place to see and be seen. Just don’t forget to make reservations! If you’re looking for something more quiet, try Sugarless (shhhhh – it’s a local secret), in the Bilderdijkstraat for gluten-free, super tasty, and healthy food. You can’t go wrong with Geisha when you crave asian food. Toscanini is such authentic Italian, you can almost imagine all the mamas arguing in the kitchen about who makes the best pasta sauce. You didn’t go to Amsterdam to sit in your hotel room all night long, so where to go when you’re in the mood to party? Have a cocktail at Suzy Wong. Flash your new outfit in Jimmy Woo, or Club Air where it is next to impossible not to trip over international celebs. The Lion Noir lies in the Reguliersdwarsstraat, which is considered the gay-capital in the capital and is always the place for a stylish night of good fun. That leaves me with only one more thing to say: enjoy your trip, have as much fun as you can, and return home with a great memories, some cool shopping finds, and a smile on your face! You’ll be back! 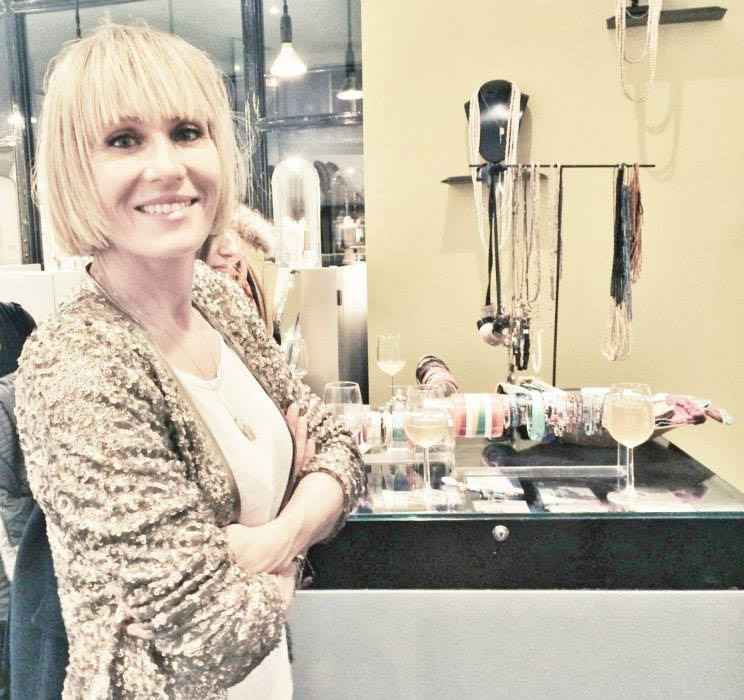 Dutch journalist Daniëlle de Mol Moncourt is beauty editor at FAB magazine and writes columns for Ze.nl. She does not wear Dutch wooden clogs, but knows how to appreciate beautiful wine, good food, and loves to have a great time. In high heels. This entry was posted in Fashion Passion, Uncategorized and tagged Amsterdam, Babassu Skin Spa, Beauty Bloggers, Fashion Bloggers, Fashion Trip, Foam Museum, Holland, Linda Tol, Rijksmueum, Sabrina Meijer, street style, The Nine Streets, Tourism, www.afterdrk.com, www.lindatol.com on April 11, 2014 by allanawesleywhite. This entry was posted in Uncategorized and tagged allana wesley white photography, happy holidays on December 16, 2013 by allanawesleywhite.